Learn new art techniques from our artist experts! Course Description: Get in the festive spirit and add to your Christmas tree or give as a gift. This festive ornament looks hard to make, but is very easy. 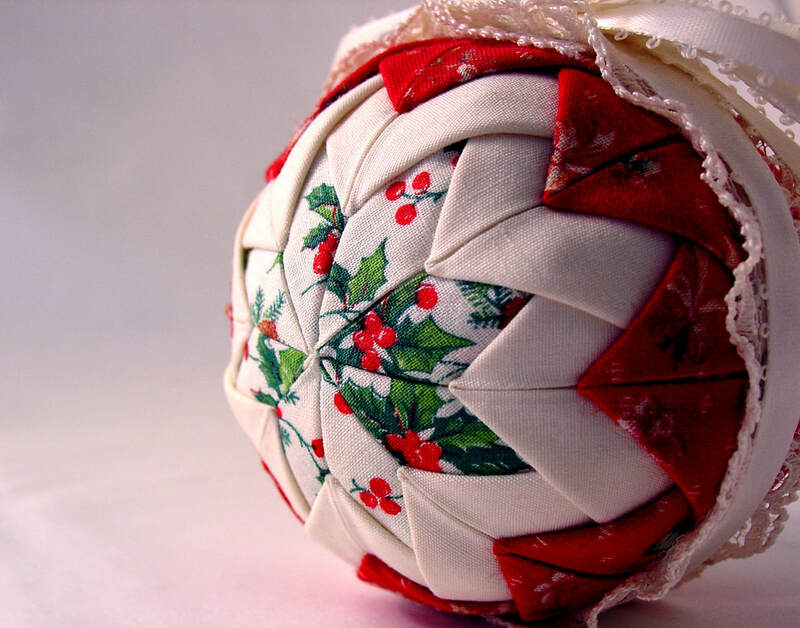 When you are done, you will have created a beautiful fabric-covered ornament in an intricate design. This project uses pins and does not require any knowledge of sewing. Mrs. Casey loves giving life to a flat piece of paper. Making something jump out and grab the viewer is her ultimate goal. Whether it be an old broken building, a beautiful bird, or a bug on a tree, everything has a story that can be told with art. ​REGISTRATION FOR THIS WORKSHOP IS NOW CLOSED. 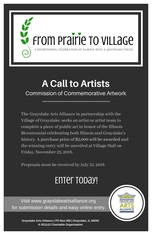 Summertime in Grayslake: While our group exhibit schedule is on summer hiatus, our members are keeping busy in summer art fairs and festivals all around the area. 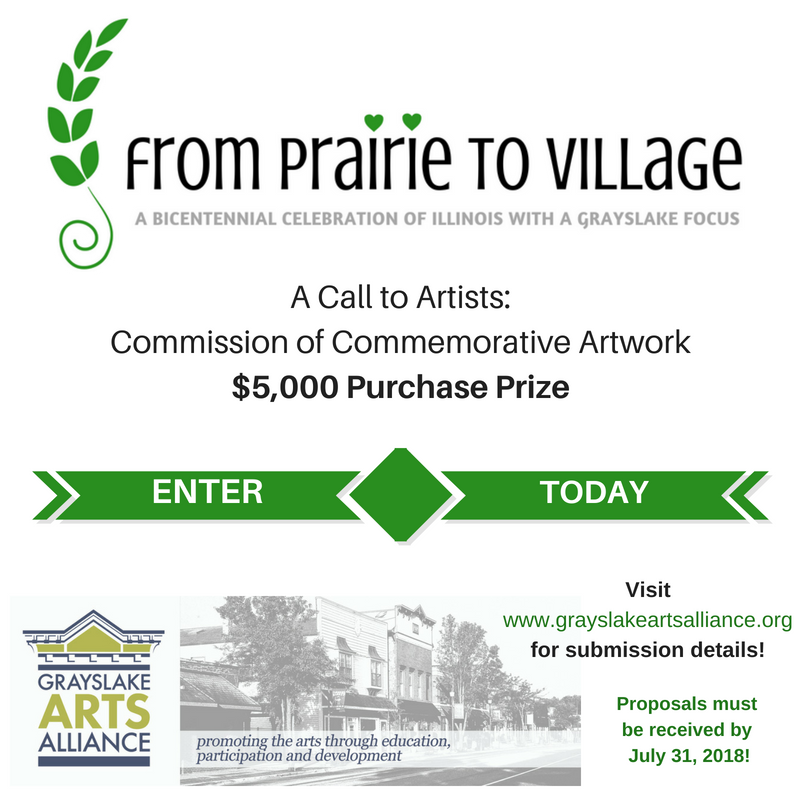 Several members are participating in the 23rd Annual Grayslake Arts Festival and Wine Tasting Event taking place on Saturday, June 23, 2017 from 10am-4pm in the historic downtown of Grayslake, IL. 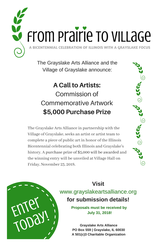 Be sure to watch for information on the first show of our 2018-2019 show season - the Holiday Fine Arts Show will be November 23, 2018 in conjunction with the Village of Grayslake Tree Lighting, and other festive events taking place downtown. 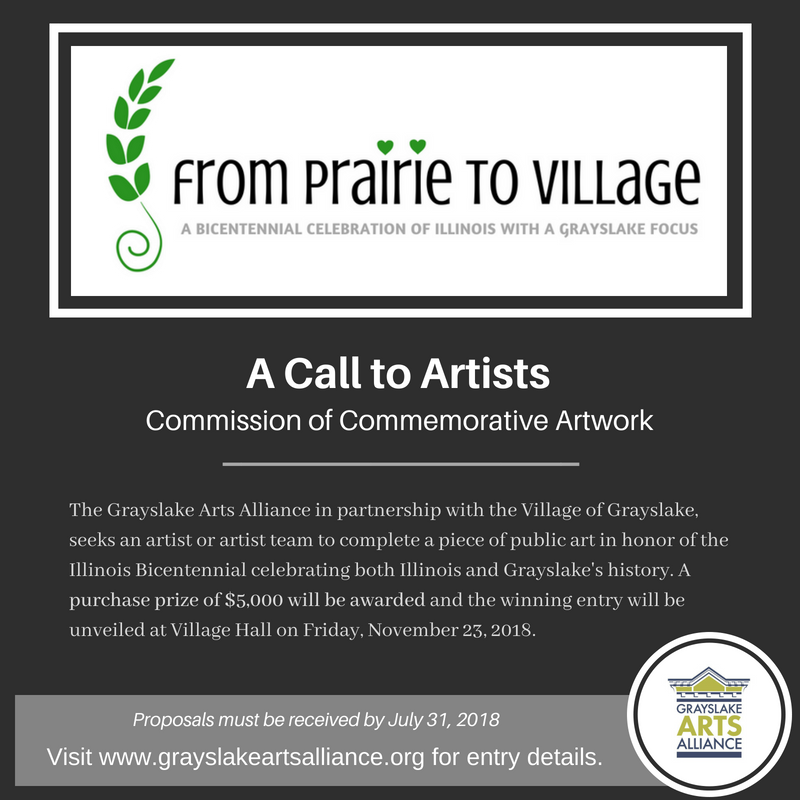 For more information on participation in our shows or any other upcoming events, please visit the Grayslake Arts Alliance Friends Group page on Facebook. 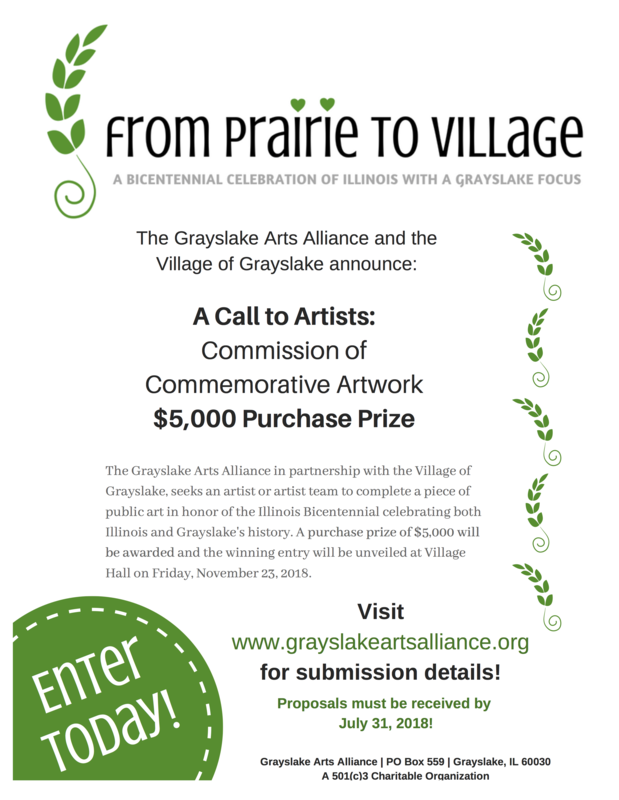 Fall Art Workshops are here! 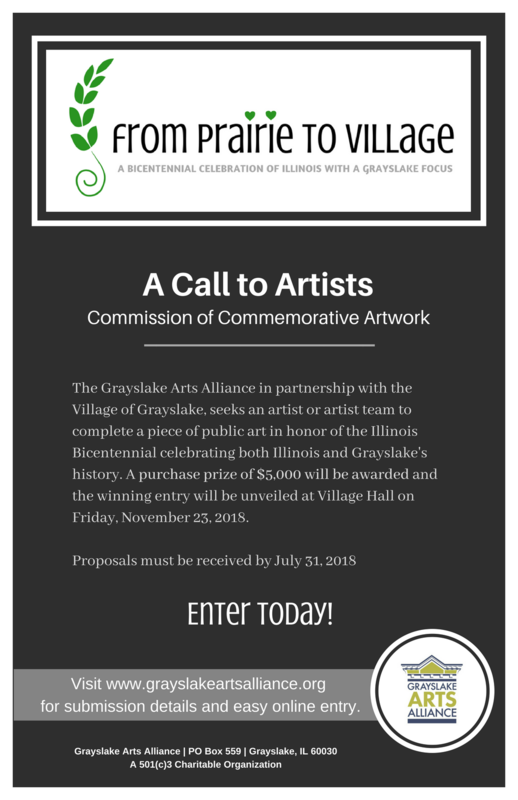 The Grayslake Arts Alliance in partnership with the Village of Grayslake, seeks an artist or artist team to complete a piece of public art in honor of the Illinois Bicentennial celebrating both Illinois and Grayslake's history. 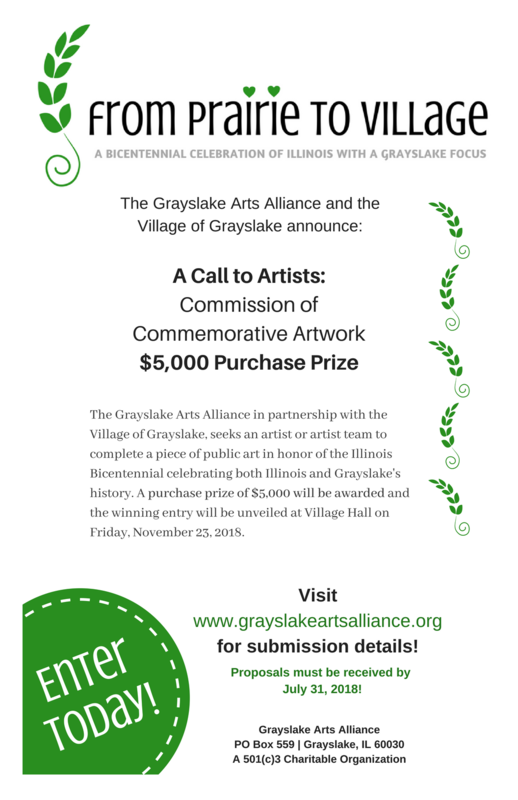 A purchase prize of $5,000 will be awarded and the winning entry will be unveiled at Village Hall on Friday, November 23, 2018. 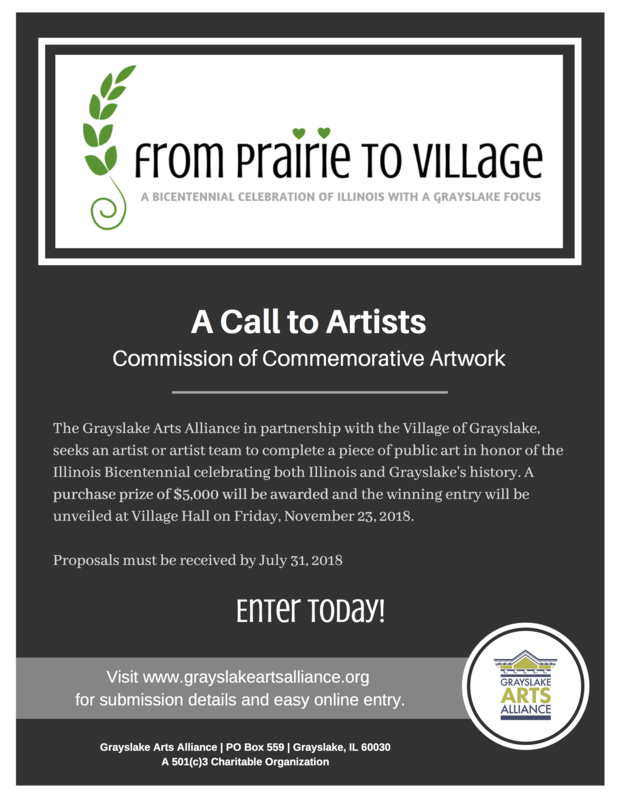 Help us spread the word about our Artist Call.